The cannabis community has been eagerly waiting to learn whom Donald Trump would nominate as the nation’s top law enforcement officer, and it appears we have our answer: Alabama Senator Jeff Sessions. So what does this mean for legal marijuana? In other words, if a state’s regulatory system does not implicate these enforcement priorities, and if marijuana enterprises are compliant with state law, then the Department of Justice would exercise its discretion and allow those enterprises to operate. Importantly, this policy is not set in stone, and is subject to review by subsequent administrations. Which brings us now to Donald Trump and his nominee for Attorney General, Jeff Sessions. In interviews throughout the election season, Donald Trump was actually fairly consistent in his open-minded approach to legal marijuana. He told the Washington Post that “In terms of marijuana and legalization, I think that should be a state issue, state-by-state[. ]” He also told Bill O’Reilly that he was in favor of medical marijuana “a hundred percent,” even though he thought that diversion into other markets was a problem (so did James Cole). Jeff Sessions, however, has not been as open when it comes to legal marijuana. A former Attorney General for the State of Alabama, he famously joked that he thought the Klu Klux Klan was fine “until [he] found out they smoked pot.” He was nominated for a federal judgeship in 1986, but his nomination was rejected by the Senate Judiciary Committee (which was controlled by Republicans at the time, and is now the same Committee that Sessions chairs in the Senate). Sessions’ attitude appears to conflict with the attitude of the President-Elect who nominated him, and perhaps he will adopt the President-Elect’s federalist approach to legal marijuana. But given Sessions’ prior comments, the best case scenario for the legal marijuana industry may be to maintain the current status quo. For instance, with Sessions as the nation’s top law enforcement officer, it is probably unrealistic to expect that the DEA will revisit its decision not to reschedule marijuana. Hopefully Americans will get insight into how a Sessions-led Department of Justice will treat legal marijuana during the confirmation process. Until that happens, it looks like the waiting game continues for legal marijuana entrepreneurs. The initial public comment period ended on November 15 — this was the first opportunity for Ohio citizens to comment on the substance of the proposed cultivator rules. The Ohio Medical Marijuana Control Program is required to prepare a Business Impact Analysis and submit the analysis to the Common Sense Initiative office. The public will have an additional opportunity to offer input on the rules at this time. The Ohio Medical Marijuana Control Program will hold a public hearing between 30-41 days after the rules have been filed with Joint Committee on Agency Rule Review, which cannot happen until the Common Sense Initiative has provided input on the proposed rules. Public testimony will be accepted at this hearing. If the rule has an adverse impact on business (ORC 107.52), that the rule-making agency has demonstrated through the business impact analysis (BIA), the Common Sense Initiative Office (CSI) recommendations and the agency’s memorandum of response to the CSI recommendations, that the rule’s regulatory intent justifies its adverse impact on business. The Department will issue two tiers of cultivator licenses — 12 Level I licenses capped at 15,000 square feet of marijuana cultivation area, and 6 Level II licenses capped at 1,600 square feet of marijuana cultivation area. Flowering marijuana cannot constitute more than 75% of the marijuana cultivation area. Various felony offenses (for instance, drug offenses under R.C. 2925) will automatically disqualify interested applicants from obtaining medical marijuana licenses, although the Department may grant a hearing to allow applicants with only misdemeanor versions of those offenses to obtain a license. 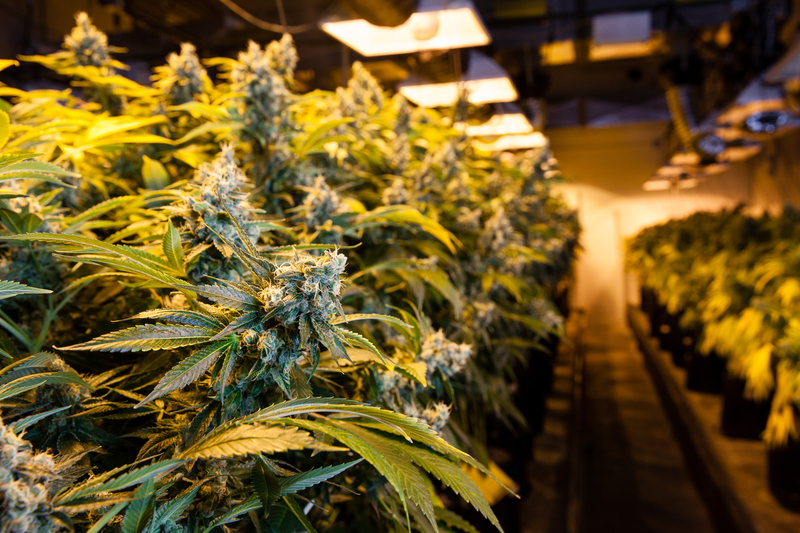 The Department defines (but provides no substantive regulations for) “plant only processors,” which the Department defines as cultivators that have “received a license . . . for the limited purpose of packaging, selling, and delivering finished plant material directly to a licensed dispensary for sale to a patient or caregiver. Licenses will be split among various designated territories within Ohio, although the Department does not identify what those territories will be. Ohio medical marijuana cultivator license applicants will have to submit applications that include a business plan, an operations plan, a quality assurance plan, a security plan, and a financial plan. Ohio will charge a nonrefundable $20,000 fee to apply for a Level I cultivator license, and a $2,000 nonrefundable fee to apply for a Level II cultivator license. The Department of Commerce will issue provisional licenses to successful applicants, and then the applicant will have 9 months to execute the plans included in their applications. If the applicant can successfully do so, then a “certificate of operation” will be awarded. During the application process, an applicant must demonstrate that real estate is either leased or owned, or that the applicant has the ability to lease or purchase the property where the cultivation facility will be located. Applicants for Level I cultivator licenses will have to show liquid capital in the amount of $500,000, while applicants for Level II cultivator licenses will have to show liquid capital in the amout of $50,000. This means that the applicant will have the ability to liquidate that mount of money within 30 days. Level I cultivator applicants must have either $2 million in escrow or a $2 million surety bond. Level II cultivator applicants must have either $200,000 in escrow or a $200,000 surety bond. Provisional cultivator licenses are nontransferable, and ownership changes of operating cultivators are subject to approval by the Department. Cultivators must annually renew their certificates of operation. Level I cultivators must pay an annual renewal fee of $200,000, while Level II cultivators must pay an annual renewal fee of $20,000. These rules are not yet finalized, and this list does not include all of the rules proposed by the Department. There remains an opportunity for public input, and if you are considering applying for an Ohio medical marijuana cultivator license it makes a lot of sense to get involved in the public comment process. The State needs to hear from concerned entrepreneurs and cannabis professionals so that Ohio has a functioning medical marijuana market by the target operational date of September 2018. Confusion continues regarding whether Ohio doctors can recommend medical marijuana. Earlier this month, the Ohio State Medical Board provided “guidance” to doctors relating to medical marijuana, stating that they should not recommend medical marijuana to patients until the Board finalizes its rules to certify doctors to make those recommendations — a process that could take until September 2017. State Senator David Burke felt the “guidance” was unnecessary, telling Cleveland.com, “Willing physicians are in the free and clear[. ]” He also noted that Ohio doctors will have to treat marijuana as a controlled substance under state law. “The affirmative defense was meant to allow for a quick transition for folks who need this product sooner than later[,]” he said. Giacalone’s statement appears to be a 180 degree turn from the “guidance” offered by the Board earlier this month, which did explicitly say that Ohio physicians were not permitted to recommend medical marijuana prior to being certified to do so by the State Medical Board. That being said, Giacalone is absolutely correct that HB 523 is not crystal clear when it comes to physician discipline for recommending medical marijuana. In other words, if R.C. 4731.30(B)(1) and (C)(1) require physicians to be certified before recommending medical marijuana, then R.C. 4731.22(B)(49) could allow for that physician to be disciplined if he or she recommends marijuana prior to being certified. Monitoring a patient’s treatment with medical marijuana. On its face, this subsection does grants immunity to all physicians recommending medical marijuana, regardless of whether that physician has been previously certified — and, in fact, it may render the certification requirement practically meaningless. Thus, there appears to be a direct conflict between R.C. 4731.30(H) and R.C. 4731.30(B)(1) and (C)(1). Another interesting question is whether R.C. 4731.22(B)(49) applies to physicians who simply advise patients about the risks/benefits of medical marijuana or monitor the patient’s treatment, as the law does not explicitly call for discipline against physicians for engaging in those activities, with or without a certificate from the State Medical Board. And as if the above analysis wasn’t confusing enough, it gets even more convoluted when one considers the Ninth Circuit case of Conant, et al. V. Walters, et al., 309 F.3d 629 (9th Cir. 2002). In that case, a group of physicians and patients argued that interfering with physicians from recommending medical marijuana violated the First Amendment — and they won an injunction against the federal government. To my knowledge, Conant has not been adopted by the 6th Circuit or any Ohio state court — but the First Amendment implications of Ohio’s new medical marijuana law cannot be ignored. At the end of the day, there will likely be Ohio physicians issuing written recommendations to patients before the State Medical Board certifies them to do so. If they find themselves subject to disciplinary proceedings, they will at least have plausible arguments that R.C. 4731.30(H) and the First Amendment prevent discipline from being imposed. (d)(1) A lawyer shall not counsel a client to engage, or assist a client, in conduct that the lawyer knows is illegal or fraudulent. A lawyer may discuss the legal consequences of any proposed course of conduct with a client and may counsel or assist a client in making a good faith effort to determine the validity, scope, meaning, or application of the law. (2) A lawyer may counsel or assist a client regarding conduct expressly permitted under Sub. H.B. 523 of the 131st General Assembly authorizing the use of marijuana for medical purposes and any state statutes, rules, orders, or other provisions implementing the act. In these circumstances, the lawyer shall advise the client regarding related federal law. As amended, this rule change would resolve the concerns of many lawyers (including our firm) regarding the representation of clients in the medical marijuana industry. As previously noted here, however, new subsection (d)(2) differs from language used in other states in that it only authorizes attorney assistance with conduct “expressly permitted” under H.B. 523, while also advising about the consequences of federal prohibition. Other states, such as Alaska, clarify that an attorney may assist clients in conduct the lawyer “reasonably believes” is permitted under state law. 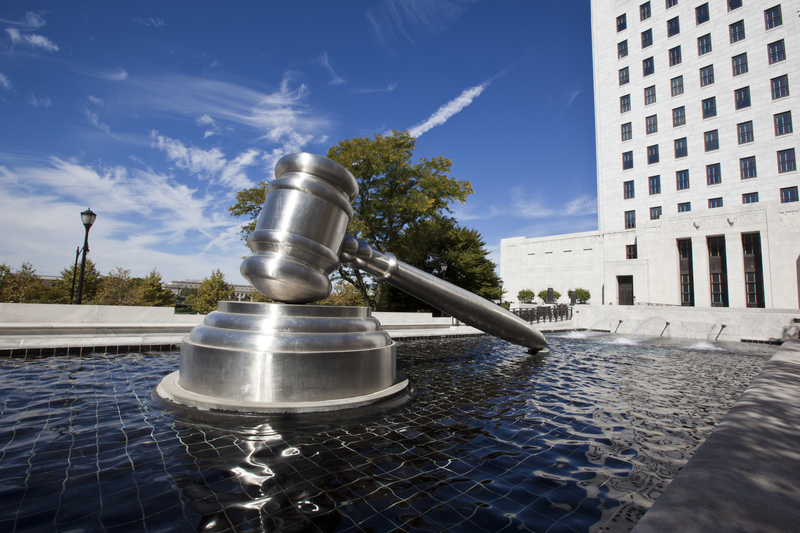 This important distinction means that Alaska recognize that an attorney’s role is often to make a good faith determination regarding what is (or is not) authorized under existing law. In Ohio, it is conceivable that a client may ask something like, “The law isn’t clear on whether my proposed conduct is allowable. Research whether it is permitted, and if so, advise me regarding how I can engage in it.” If the lawyer concludes that the conduct is permitted, but is wrong, the lawyer could (in theory) be subject to discipline because the Rule only authorizes conduct “expressly permitted” — there does not appear to be an allowance for reasonable mistakes as to the scope of the law. In addition, this change does not address whether the Rules authorize an attorney to use medical marijuana or whether an attorney may own and/or operate a medical marijuana establishment. Those issues continue to be addressed only by the August advisory opinion. All things in consideration, Ohio lawyers and the Ohio medical marijuana community in general are in a better position than they were a few weeks ago. The Ohio Supreme Court moved astonishingly fast to address this issue, and for that they should be commended. Let’s hope the Department of Commerce and State Board of Pharmacy act as quickly as they draft the industry rules over the coming months. Read more on this topic on Cleveland.com by clicking here. We’ve covered the ethical issues associated with legal marijuana on this blog previously, including the August 2016 advisory opinion issued by the Board of Professional Conduct. Today, the Ohio Supreme Court proposed a rule change to Rule 1.2 that would allow attorneys to represent medical marijuana clients regarding conduct “expressly permitted” under H.B. 523. The August advisory opinion held that Rule 1.2(d) barred attorneys from offering traditional legal services to medical marijuana clients. The opinion also left open the possibility that an Ohio lawyer’s use of medical marijuana and ownership interest in a medical marijuana business could lead to discipline under Rules 8.4(b) or 8.4(h). (2) A lawyer may counsel or assist a client regarding conduct expressly permitted under Sub.H.B. 523 of the 131st General Assembly authorizing the use of marijuana for medical purposes and any state statutes, rules, orders, or other provisions implementing the act. In these circumstances, the lawyer shall also advise the client regarding related federal law. This language is notably more limited than language used in other states. In Alaska, for instance, the state adopted a new Rule 1.2 (f) that allowed lawyers to advise regarding conduct the lawyer “reasonably believes” is authorized by Alaska’s marijuana laws. The rule proposed by the Ohio Supreme Court, however, specifies that a lawyer’s advice must relate to conduct “expressly permitted” under H.B. 523. In addition, the Supreme Court has not amended Rule 8.4 in any way — which continues to leave open the possibility that a lawyer’s use of medical marijuana could lead to discipline. This is still a big problem. At the end of the day, there is no question that proposed Rule 1.2(d)(2) represents real progress when it comes to attorney involvement in the Ohio medical marijuana industry. While the language may need tweaked, even as written it allows an attorney to represent a medical marijuana business with the traditional legal services the Board deemed prohibited in the August advisory opinion. Plus, kudos to the Court for acting so quickly. You can view the full proposal from the Ohio Supreme Court by clicking here. “Although non-binding, the Court is aware that the advisory opinion has led some lawyers to question whether they can assist clients in complying with the new law,” Chief Justice Maureen O’Connor said. “The Court hopes to act expeditiously in addressing their concerns and, if necessary, amend ethics rules to clarify the role of attorneys in light of the new law.” She noted that attorneys in other states have faced similar ethics challenges. The Court will consider the proposed amendments to the Rules of Professional Conduct later this month and, if approved, publish the rules for public comment. “Again, the Court intends to act as swiftly as possible,” Chief Justice O’Connor said. “However, we do not want to rush the process to the point of creating additional problems,” the Chief Justice concluded. On August 17, our law firm submitted proposed changes to the Board of Professional Conduct as outlined below. These proposals, if accepted, would open legal services to the medical marijuana industry and further specify that lawyers may use medical marijuana as long as that use does not adversely affect the lawyer’s practice and client representation, and also that lawyers may own or operate a medical marijuana business. (f) Notwithstanding division (d) of this rule, a lawyer may counsel and advise a client regarding Ohio’s marijuana laws, and may assist the client to engage in conduct that the lawyer reasonably believes is authorized by those laws. If Ohio law conflicts with federal law, the lawyer shall also advise the client regarding related federal law and policy. This amendment would clarify that Ohio lawyers can advise and assist clients under Ohio’s medical marijuana laws, as long as the lawyer also advises regarding federal law and any consequences of conflicts between state and federal policy. We also proposed adopting a new comment to Rule 1.2, explicitly identifying that lawyers can ethically provide services that are prohibited by Advisory Opinion 2016-6. Divisions (b) and (h) of this Rule do not prohibit a lawyer from engaging in conduct that the lawyer reasonably believes is authorized by Ohio’s marijuana laws, including R.C. 3796, et seq. and all administrative regulations promulgated pursuant to Ohio’s medical marijuana control program. Therefore, an Ohio lawyer may use medical marijuana in a method the lawyer reasonably believes is authorized under Ohio law as long as such use does not adversely affect the lawyer’s work or representation of clients. In addition, nothing in divisions (b) and (h) of this Rule prohibits a lawyer from having an ownership interest in, being employed by, or lending money to a medical marijuana enterprise that the lawyer reasonably believes is authorized under Ohio law. This comment is necessary to protect lawyers using medical marijuana from discipline, as long as the lawyer’s use does not adversely affect the lawyer’s clients — similar to situations where an attorney chooses to use alcohol or when an attorney is prescribed medication to treat a medical condition. We should know within the next few weeks how the Court intends to move forward and whether the Rules of Professional Conduct will be amended. One thing seems clear, however: the Court recognizes the untenable situation facing Ohio lawyers and the medical marijuana community and the Court intends to fix the problem. You can view our firm’s submission in its entirety by clicking here. Whether an Ohio lawyer may ethically use medical marijuana as provided by Ohio state law. The Board responded by announcing a non-binding opinion on August 11, that essentially prohibited lawyers from representing the Ohio medical marijuana community. The only remedy to the untenable situation existing in Ohio is a change to the Ohio Rules of Professional Conduct — something that Chief Justice O’Connor has asked the Board to consider. Recently, our firm proposed changes to the Rules clarifying that lawyers can represent Ohio medical marijuana companies, and also that Ohio lawyers can use medical marijuana and own/operate medical marijuana businesses. The Board began its analysis noting that Rule 1.2(d) prohibits a lawyer from assisting a client engaging or seeking to engage in conduct the lawyer knows is illegal. Importantly, the Board notes that the Rule precludes attorney assistance with respect to conduct that is illegal under either state or federal law — and the Rule does not distinguish between federal laws that are not being enforced. Notwithstanding the above, the Board did conclude that Ohio lawyers may advise clients about the conflict between state and federal law, the consequences of engaging in conduct that is permissible under Ohio law but contrary to federal law, and the likelihood of federal enforcement under the current administration. Ohio lawyers can also counsel and advise about the meaning of Ohio law, and the requirements imposed by Ohio’s medical marijuana law. While a lawyer can advise how the medical marijuana law would be applied to a client’s proposed conduct, the Board’s counsel indicated to me in a conversation that this is essentially limited to a one-time conversation and does not involve ongoing advice. Aiding a government client in implementing and administering the state’s medical marijuana program (including state or local governments involving the establishment, operation, or implementation of the regulatory system). Medical marijuana business will effectively be shut out of court when disputes arise, as corporate entities cannot proceed pro se (with the exception of small claims) – this largely leaves “self-help” as the only effective remedy should contractual breaches occur or other disputes arise involving a legal medical marijuana business. However, the result of the Board’s advisory opinion relating to attorney representation does not bring Ohio into uncharted territory. Following the passage of Amendment 64, the Colorado Bar Association issued a similar opinion, concluding that Colorado lawyers should not engage conduct similar to that referenced by the Ohio Board of Professional Conduct. Soon thereafter, the Colorado Supreme Court added a comment to its version of Rule 1.2 specifying that Colorado lawyers could represent clients in conduct the lawyer reasonably believed was authorized by Amendment 64. 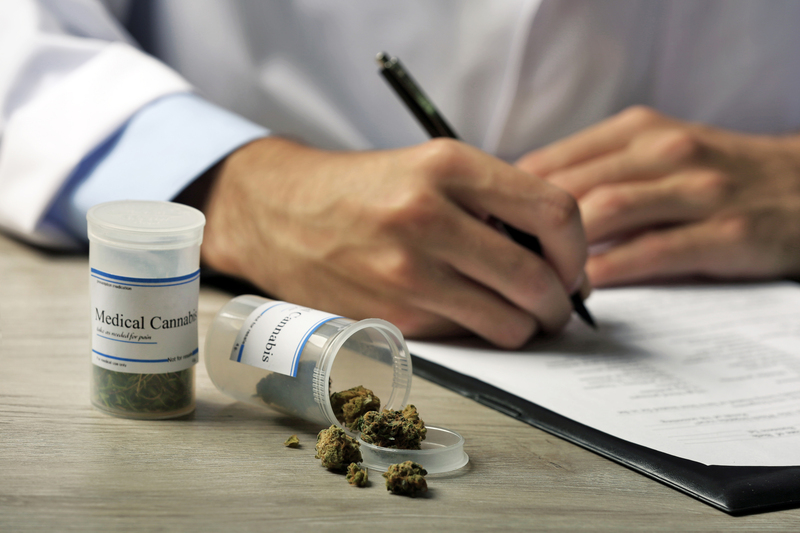 The Board’s analysis involving an Ohio lawyer’s use of medical marijuana applies equally to situations where an Ohio lawyer seeks to own, operate, or lend money to a medical marijuana business. In this context, the Board concluded that the single use of medical marijuana (illegal under federal law) would not violate Rule 8.4(b) but that repeated use might. In addition, the Board concluded that other misconduct relating to the use of medical marijuana, such as “lying to federal investigators or obtaining a prescription for medical marijuana for purposes of resale o providing it to a minor” could implicate Rule 8.4(b). The Board did clarify, however, that Rule 8.4 (h) — engaging in misconduct that adversely reflects on the lawyer’s fitness to practice law — can be violated even when no other Rule is violated. Interestingly, the Board specifically cites to the case of Disciplinary Counsel v. Bowling, 2010-Ohio-5040, and describes that case as one where a magistrate was charged, but not convicted for marijuana possession under state law and violated Rule 8.4(h). However, in Bowling the parties actually stipulated that the magistrate violated Canon 2 of the former Code of Judicial Conduct by using marijuana occasionally to self-medicate after a stroke, and Disciplinary Counsel dismissed the alleged violation of Rule 8.4(h). The Board’s caution that “repeated” use of marijuana is troubling in light of the fact that Ohio lawyers with chronic conditions would likely use medical marijuana on a repeated basis to manage the condition. In fact, the Board’s conclusion would allow a lawyer using marijuana once for the purposes of getting high to escape discipline, while a chronically ill lawyer could be disciplined for using medical marijuana under the treatment of a physician. Furthermore, it is not clear how an Ohio lawyer can own or operate a medical marijuana business in accordance with Rule 8.4 — for instance, is owning one business allowable, even though the business engages in repeated transactions? In any event, the Board’s statement that Rule 8.4(h) can be violated even if all other rules are complied with should caution lawyers from owning or operating a medical marijuana business. So where do we go from here? As stated above, the Chief Justice of the Ohio Supreme Court has indicated that the Court is aware of the issues presented by this advisory opinion, and will consider amendments to the Professional Conduct Rules later this month. Our firm has submitted proposed amendments, and you can read about them by clicking here. We’ve previously covered the topic of Ohio attorney professional ethics relating to House Bill 523 and the coming medical marijuana industry in Ohio. Well, today Ohio lawyers received the much-anticipated advisory opinion from the Board of Professional Conduct and it was…. less than encouraging. I’m on the road coming back from an oral argument in central Ohio (I pulled over at a McDonald’s to write this, don’t worry), so I’ll hit the bullet points here and provide more in-depth analysis at a later time. Suffice it to say that the Board has chosen to follow the lead of the state’s that have drastically limited (if not outright prohibited) lawyer involvement in the marijuana industry. Under Prof.Cond.R. 1.2(d), a lawyer cannot deliver legal services to assist a client in the establishment and operation of a state regulated marijuana enterprise that is illegal under federal law. The types of legal services that cannot be provided under the rule include, but are not limited to, the completion and filing of marijuana license applications, negotiations with regulated individuals and businesses, representation of clients before state regulatory boards responsible for the regulation of medical marijuana, the drafting and negotiating of contracts with vendors for resources or supplies, the drafting of lease agreements for property to be used in the cultivation, processing, or sale of medical marijuana, commercial paper, tax, zoning, corporate entity formation, and statutory agent services. See also, Colo. Op. 125 (2013). Similarly, a lawyer cannot represent a property owner, lessor, supplier or business in transactions with a marijuana regulated entity, if the lawyer knows the transferred property, facilities, goods or supplies will be used to engage in conduct that is illegal under federal law. Even though the completion of any of these services or transactions may be permissible under Ohio law, and a lawyer’s assistance can facilitate their completion, the lawyer ultimately would be assisting the client in engaging in conduct that the lawyer knows to be illegal under federal law. [The current Rule] permits a lawyer to explain to the client the conflict that currently exists between state and federal law, the consequences of engaging in conduct that is permissible under Ohio law but contrary to federal law, and the likelihood of federal enforcement given the policies of the current administration. A lawyer may counsel and advise a client regarding the scope and general requirements of the Ohio medical marijuana law, the meaning of its provisions, and how the law would be applied to a client’s proposed conduct. A lawyer also can advise a client concerning good faith arguments regarding the validity of the federal or state law and its application to the client’s proposed conduct. In addition to the permissible range of advice permitted under Prof.Cond.R. 1.2(d), the rule does not preclude a lawyer from representing a client charged with violating the state medical marijuana law, representing a professional license holder before state licensing boards, representing an employee in a wrongful discharge action due to medical marijuana use, or aiding a government client in the implementation and administration of the state’s regulated licensing program. With regard to the latter, lawyers assisting a government client at the state or local level in the establishment, operation, or implementation of the state medical marijuana regulatory system are not advising or assisting the client in conduct that directly violates federal law. The state or a local government is not directly involved in the sale, processing, or dispensing of medical marijuana prohibited by federal law, even though it is arguably enabling the conduct through the issuance of licenses and the maintenance of its regulatory system. It appears, therefore, that until the Ohio Supreme Court amends the Rules of Professional Conduct Ohio marijuana businesses will be forced to operate without many of the kinds of professional legal advice that lawyers provide to clients in other industries. This result is simply untenable over the long term, given the regulated nature of the industry and the need for competent legal counsel. I will follow up with an update on the course forward for Ohio lawyers and their clients in the medical marijuana industry. A link to the full opinion can be found by clicking here. I‘m excited to announce that I will be one of the featured speakers at the Marijuana Business Daily Crash Course seminars taking place in Cleveland and Cincinnati next month, where I’ll have the opportunity to present and answer questions on the legal issues associated with retail dispensaries, marijuana processors, cultivators, and ancillary businesses in Ohio. The Cleveland Crash Course seminar will take place on August 17 at the Doubletree Tudor Arms, with the Cincinnati seminar taking place on August 19 at the Kingsgate Marriott. Each seminar will begin at 10:00am and last until 6:00pm, including a networking lunch and networking cocktail reception following the presentations. I’m honored to present alongside some of the most influential voices in the industry, including Robert Carp, Diane Czarkowski, Troy Dayton, Meg Sanders, Leise Rosman, and Chris Walsh. More information about the Crash Course seminars can be found below. If you register to attend one of the seminars, drop me a line in advance so that we can chat at the lunch or cocktail reception. You can register for the seminars by clicking here. You can learn about the featured speakers by clicking here. You can view the Crash Course agenda by clicking here. If you are at all interested in getting involved in Ohio’s coming medical marijuana industry, you should absolutely attend one (or both!) of the Crash Course seminars in Cleveland and Cincinnati. I hope to see you there! Founded in 2011, Marijuana Business Daily is the most trusted cannabis industry trade publication. Marijuana Business Daily is independent and non-biased, focusing on bringing top-notch professional news, financial information and research data to the marijuana industry. Marijuana Business Daily’s offerings include the Marijuana Business Conference & Expo, The Marijuana Business Factbook, Marijuana Industry Directory and Marijuana Business Magazine.